Paradise Anyone? Spring 2016 is the perfect time to plan a Spring Break “Staycation” with Angel Island – Tiburon Ferry. Hop on-board for day-trips to paradise (AKA: Angel Island State Park) – California’s premiere destination for outdoor fun & adventure on San Francisco Bay. NEW! HOP ON our 10 a.m., 11 a.m. and 1 p.m. ferry Sunday, March 27, 2016 and participate in Angel Island Ferry’s Egg Hunt 2016 to win prizes for the whole family from goodies for the kiddies to Sunset Cruise tickets for adults. Hop on Angel Island – Tiburon Ferry for family fun on SF Bay! 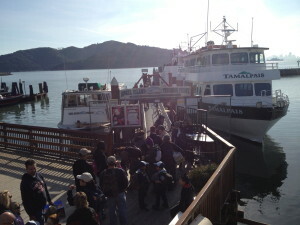 Now it’s even easier to get that “getaway feeling without going away” with a ride on the Angel Island – Tiburon Ferry. 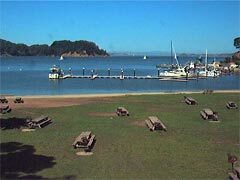 Check out our NEW Spring Tiburon Ferry schedule here to start planning your next getaway on San Francisco Bay with us. Enjoy a delicious meal or pre-order a yummy Box Lunch from Angel Island Cafe. Fill special prize eggs with treats to add to the excitement. Create different intensity levels to entice all ages to participate. Get the kids involved – have them draw up a “treasure map” to hand out with clues to hidden eggs with chocolate gold coins and other “treasures” inside. 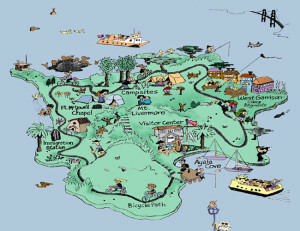 Click here for a printable map of Angel Island State Park on AngelIsland.org. 2016 egg hunt, Angel island, Angel Island Ferry, Angel Island State Park, Angel Island Tiburon Ferry, Captain Maggie, egg hunt 2016, egg hunts bay area, Spring 2016, Tiburon, Tiburon Ferry Schedule.